Tyndale Press, 1992, Hardback in Dust Wrapper. Condition: Very Good - in Good DJ. DJ snagged at the tail of the spine, ½" closed tear to the top corner of the upper panel. Previous owners inscription to ½-title page. 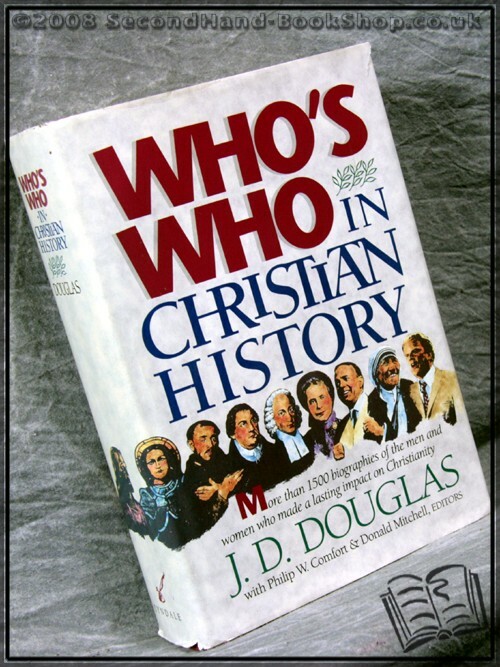 With over 1,500 biographical entries, this is a comprehensive resource, spanning the first through the twentieth centuries —from Jesus and the apostles to Billy Graham and Mother Teresa. Any reader will be fascinated and inspired by the lives of men and women — well known and obscure — who were influential in Christian history. This one-volume biographical dictionary is also a perfect resource for pastors, Bible teachers, Sunday school teachers, Bible students, and seminarians. Size: 9½" x 6¾". 747 pages.